We all require infrared heat from the sun for optimal health. 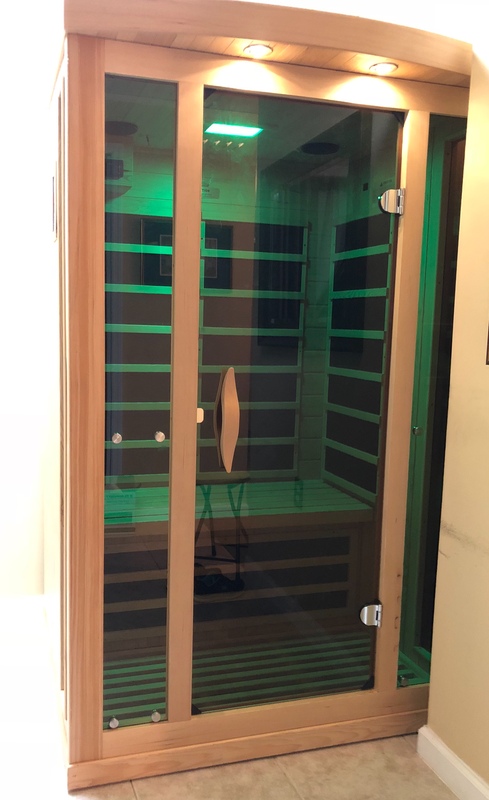 Our infrared sauna produces radiant heat that penetrates into the muscle, soft tissues and joints which increases circulation and oxygen flow. As a result, increasing a multitude of health benefits. MUSCLE PAIN RELIEF – When your muscles are warm they can relax. The heat from the FAR INFRARED SAUNA penetrates deep into the tissue, increasing circulation, relaxing the tissues and muscles. The heat also reduces soreness from the nerves, reducing muscle spasm. 2. WEIGHT LOSS AND INCREASED METABOLISM – In a nut shell – As the sauna causes you to sweat, toxins come out and fat is lost. Also, increasing metabolism. 3. BOOSTS IMMUNE SYSTEM – The infrared sauna increases your body temperature which, strengthens the body’s natural immunity. This helps fight infection and other illness. 4. DETOXIFICATION – Stimulates sweat glands and increases circulation which gets rid of toxins. 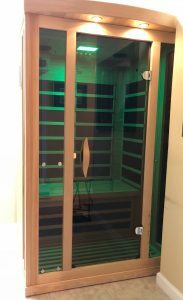 Using the infrared sauna regularly helps detoxify your body of heavy metals, alcohol, smoke, and chemicals you may not be aware of. 5. EASE JOINT PAIN AND STIFFNESS – The infrared wave from the sauna penetrates 1.5 – 2″ into the tissue allowing the muscles and connective tissue relax. Also, increases blood flow and oxygen which helps heal your body faster. 6. REDUCES STRESS AND FATIGUE – Feel relaxed, rejuvenated and renewed, with the gentle warmth of the infrared sauna. A great way to reduce built up tension and stress. 7. IMPROVES SKIN – The deep penetrating heat increases circulation, drawing out impurities. This brings out your skin’s natural nutrients to the surface carrying off dead skin cells and impurities, leaving your skin clean and glowing. Individual session: 20 minutes – $25 30 minutes – $35. Package rates: 3, 30 minutes sessions – $90. 6, 30 minutes sessions – $150. 9, 30 minute sessions – $180. Unlimited: 30 minute session – $200. ALL SESSIONS MUST BE USED IN 30 DAYS. INCLUDING UNLIMITED.